Proactively Market Your Professional Credentials. The mantra here is: Stop looking for a job and start looking for a company you’d like to work for. Once you identify companies that are (or could be) interesting to you, reach out directly to the likely hiring executive and present your professional credentials. You will be hunting in the Hidden Job Market. 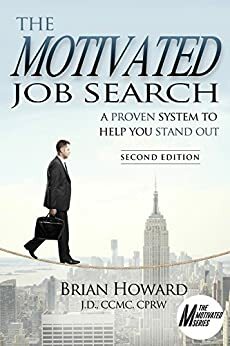 This technique requires effort, but you will find jobs and job leads that you otherwise would not find. © 2015 Brian E. Howard. All rights reserved. No part of this response or post may be used or reproduced in any form or by any means, electronic, mechanical, digital, photocopying, or recording, without the expressed written permission from the author. How to Re-ignite a Stagnant Job Search – Get out! And use job alerts. Get Out! Go meet people. Network face-to-face. Attend functions. Attend local industry gatherings. Consider attending national industry conferences. This can be a bonanza of networking opportunities. Don’t curl up in a ball and hide! Instead, get out and meet people. They’ll help you if they can if you give them the opportunity to do so. Job Alerts. If you have not been using job alerts, do so now (Indeed.com, SimplyHired.com, LinkedIn, job boards). If you have, review them. Change then. Add new ones to include other jobs you are interested in and qualified for. Get a new flow of information on opportunities in the market.